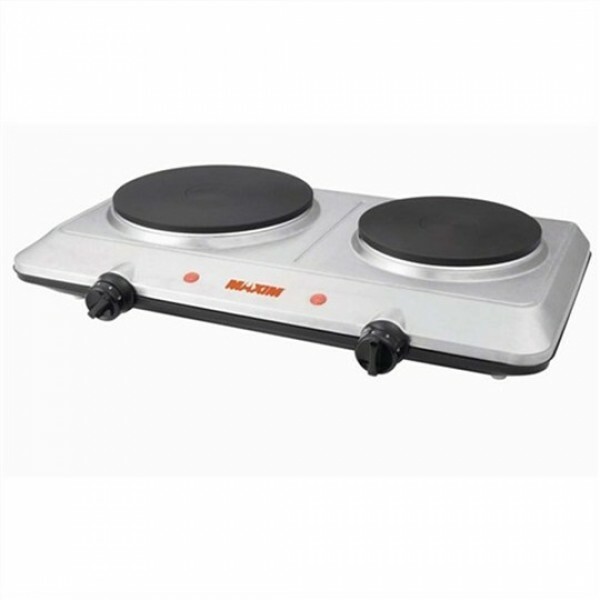 Cooking is a so simple with the Maxim Portable Double Hotplate Cooktop. This great appliance is ideal for as an extra cook top for the home, workshop or office and much more. Complete with heat-resistant carry handles and knobs, this great cooking appliance will help you become the chef you've always wanted to be! 2250 Watts of power, ensuring your food is cooked quickly and properly. Thermostat Control for accurate fine tuning of cooking temperatures. Durable Die Cast Iron Heating Element. Dimensions of Unit W 46cm x D28cm x H 8 cm. Large hotplate size is 18cm dia. Small hotplate size is 15cm dia.